Looking to find the pulse of a community? Need another activity for your itinerary? Want to expand your knowledge? Visit a museum. Good museums are able to evoke emotions and shift perspectives. They transport you to a different time and place, be it through interactive galleries or 3D movie theaters. Gain a deeper understanding of a community’s history and culture, and have fun while learning something new. From art to space, historical and archeological sites, read on to discover the coolest museum in each state. 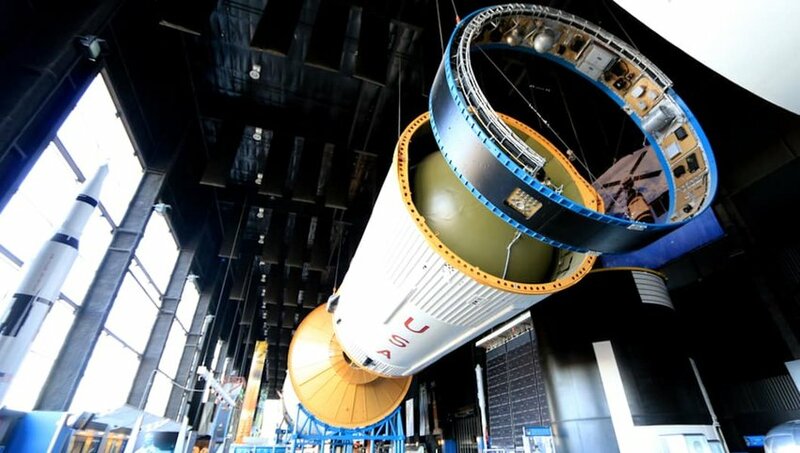 One of the most impressive space museums in the country, the U.S. Space and Rocket Center in Huntsville is also home to the famed Space Camp. Visitors to the center can learn all about the history of NASA before viewing the museum’s incredible collection of rockets. You can also get hands on and climb a rock wall that mimics the landscape of Mars. Don’t miss: Rocket Park has a G-Force Accelerator, where visitors can experience a simulation of gravitational acceleration. Alaska’s largest museum, the Anchorage Museum at Rasmuson Center, is a remarkable space that tells the complete story of Alaska’s history and culture. 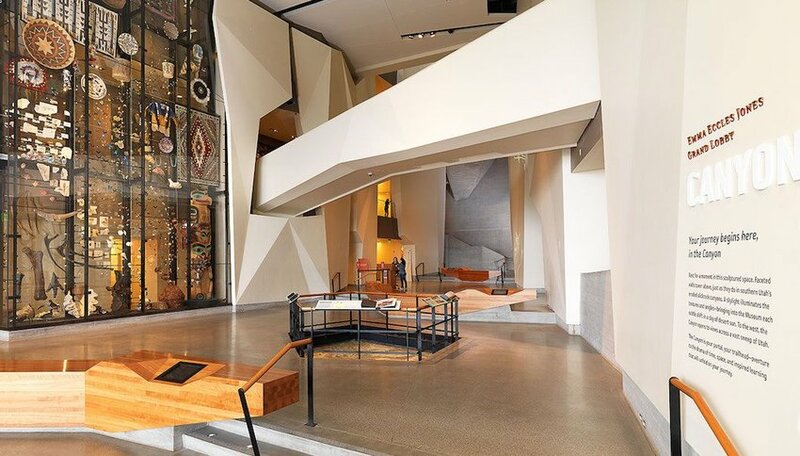 With exhibits from the Smithsonian, an impressive collection of indigenous art and an interactive gallery on state history, one could easily spend a full day learning about Alaska’s unique cultural landscape. Don’t miss: The Thomas Planetarium uses 3D technology to take viewers on a journey throughout the solar system. 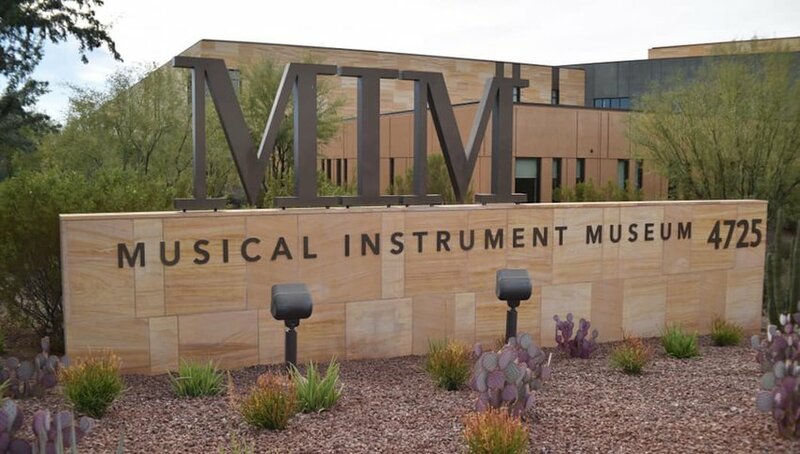 Located in Phoenix, the Musical Instrument Museum (MIM) is the largest of its kind in the world, showcasing over 6,800 musical instruments and objects in its exhibit halls. Learn about the history of musical instruments, from the early Stone Age to modern era, and discover musical development in different cultures from around the world. The museum also displays instruments played by famous performers like Johnny Cash and Elvis Presley. Don’t miss: The Experience Gallery, where you can play all kinds of unique instruments with your own two hands. 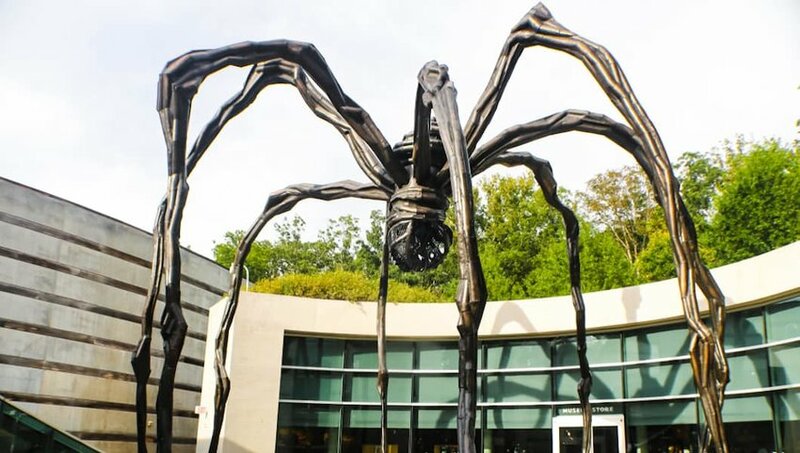 Designed by world-famous architect Moshe Safdie, Crystal Bridges Museum of American Art is an impressive modern building surrounded by beautiful grounds, spring-fed pools and pavilions. 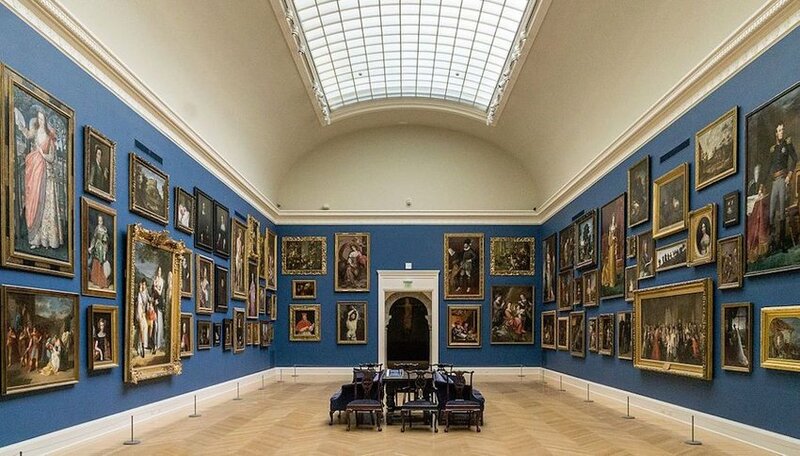 Inside the building, the museum's art collection is equally extraordinary. 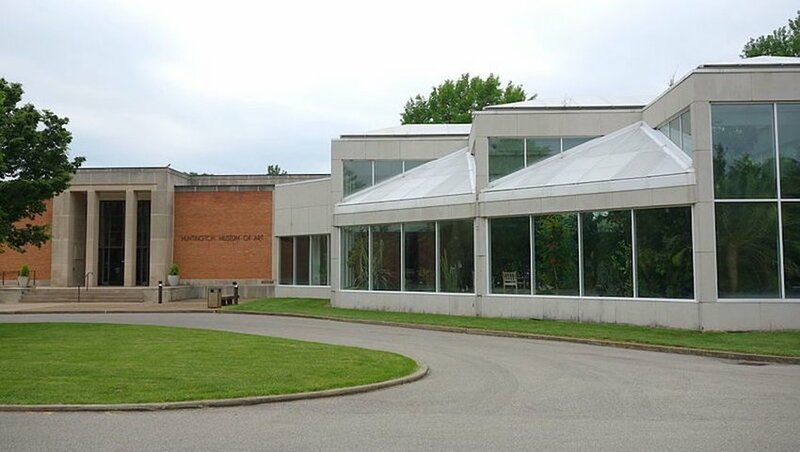 Its permanent collection is free to the public and has pieces from Norman Rockwell, Andy Warhol and Georgia O’Keefe. Don’t miss: Pay the $12 admission fee to see the rotating collections, which vary from art exhibitions about Superman to an upcoming crystal exhibit. California is a massive state, so picking just one museum is a daunting task. But L.A.’s J. Paul Getty Museum is renowned throughout the art world and will charm all visitors. 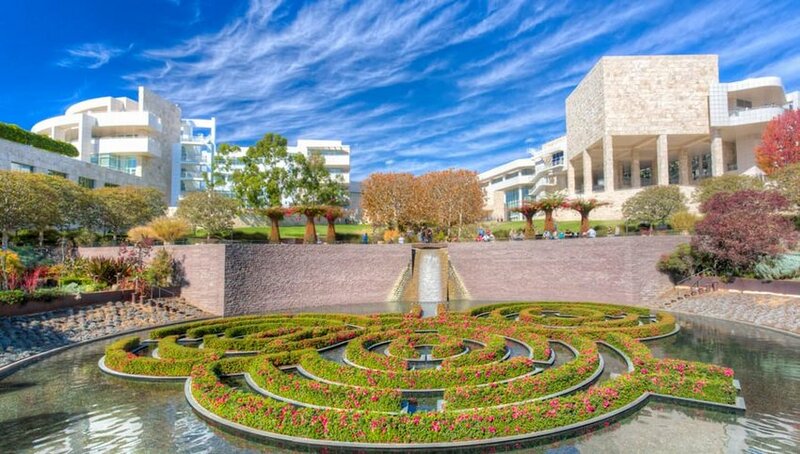 From its spectacular gardens and outdoor sculptures to its art collection that features Monet, Cézanne and Van Gogh, the Getty is one museum that everyone needs to experience. Even better? Entrance to the Getty Center is free and the view from the second floor is breathtaking. Don’t miss: Architecture and garden tours are offered Tuesdays through Sundays, free of charge. 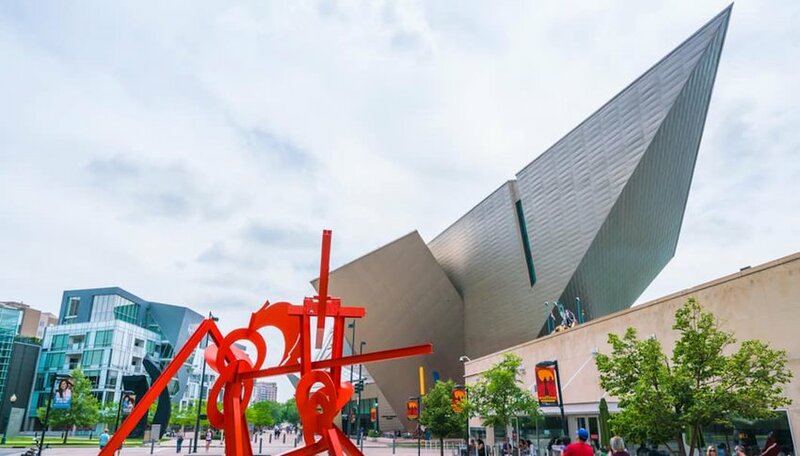 One of the largest museums in the West, the Denver Art Museum is a stunning marvel to behold. And that's just its exterior. Inside, visitors will find Western art, contemporary pieces and impressive traveling collections. 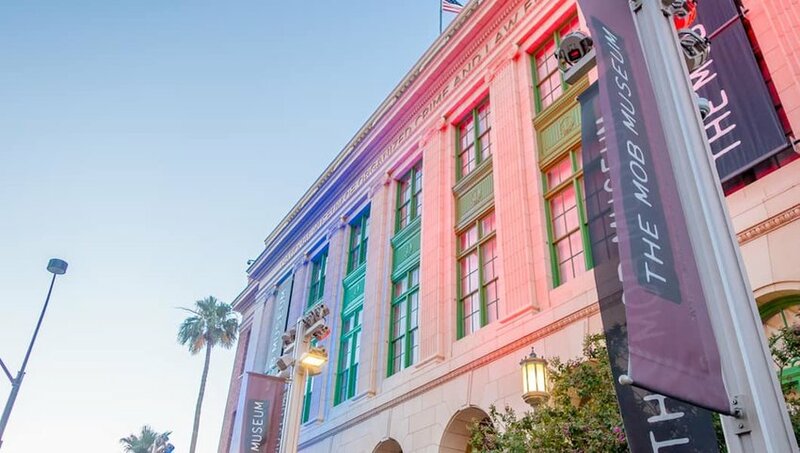 From fashion exhibits to Spanish colonial art to interactive pieces, this museum is a true encyclopedia of artistic expression. Don’t miss: Tour the Textile Art and Fashion collection for hand-dyed Native American blankets, hand-pieced quilts and early European fashion. 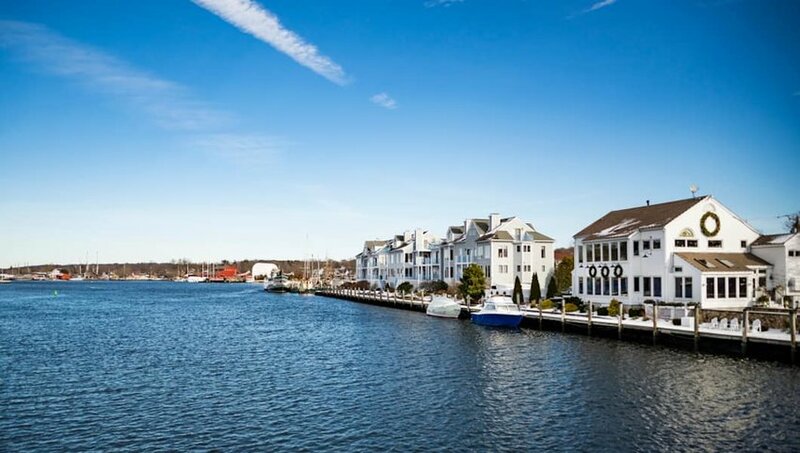 The Mystic Seaport Museum explores Mystic, Connecticut’s extensive history as a whaling village and is home to the last wooden whaleship to be built in the world. The museum also recreates a 19th-century village, with actors playing the parts of shipbuilders, tradesmen and craftspeople in coastal New England. Don’t miss: To witness shipbuilding in real-life, the museum offers a bird’s eye view of a modern working shipyard, the Henry B. Dupont Preservation Shipyard. 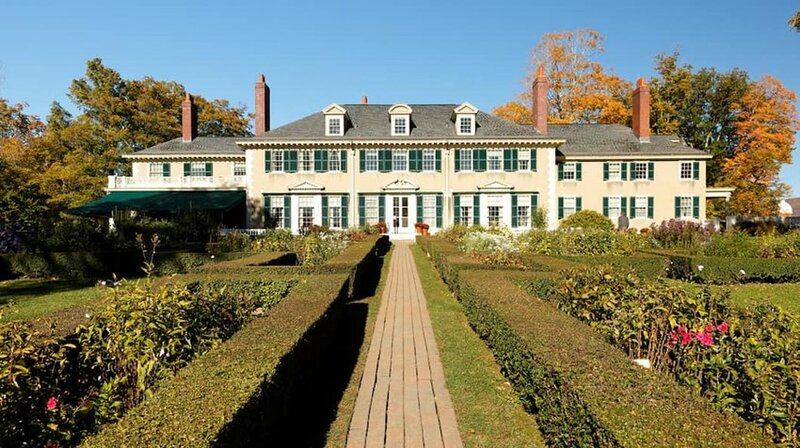 Pronounced “winter-tour,” the Winterthur Museum, Garden & Library is the previous home of Henry Francis du Pont, an art collector and horticulturist born in 1889. 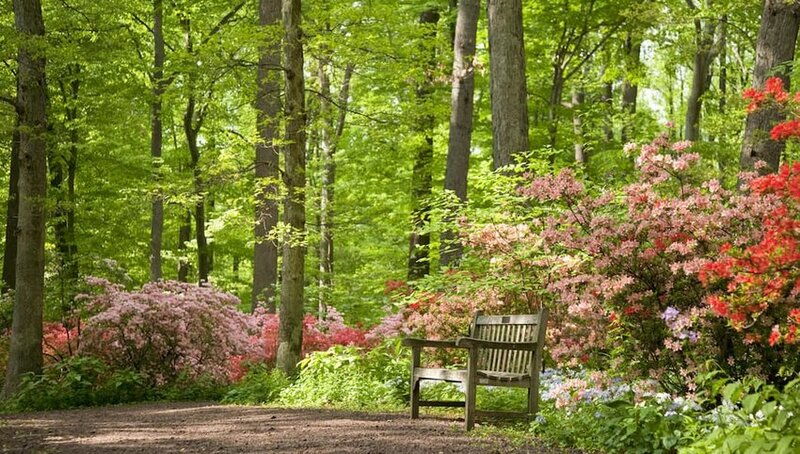 The estate sits on 1,000 acres of land in the rolling hills of Delaware. Guests to the museum can tour both the grounds and the 175-room home, which houses permanent and rotating art collections. Don’t miss: Yuletide at Winterthur is a special holiday event showcasing period and artistic Christmas displays, one of which is a Christmas tree constructed entirely of flowers. Fans of Salvador Dalí need not travel all the way to Spain for a glimpse of the surrealist painter’s work. 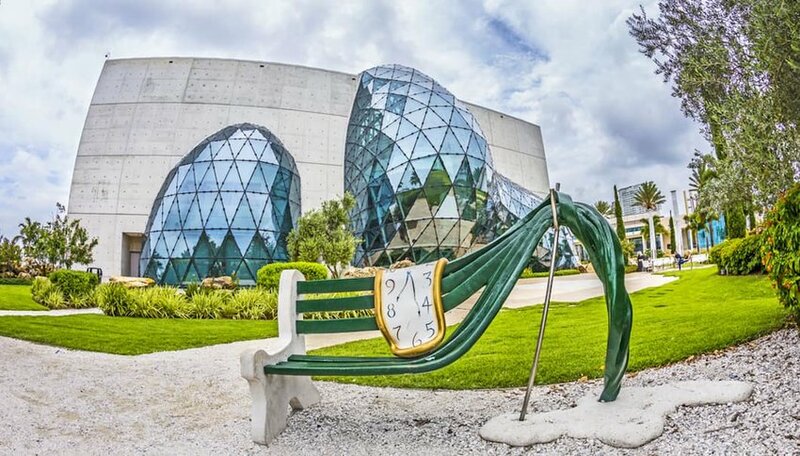 The Dalí Museum in St. Petersburg, Florida contains an impressive collection of paintings, illustrations and sculptures created by the eccentric painter over the course of his life. Don’t miss: Available until December 31, 2022, Dreams of Dalí in Virtual Reality allows visitors to explore a Dalí painting through the lens of VR. 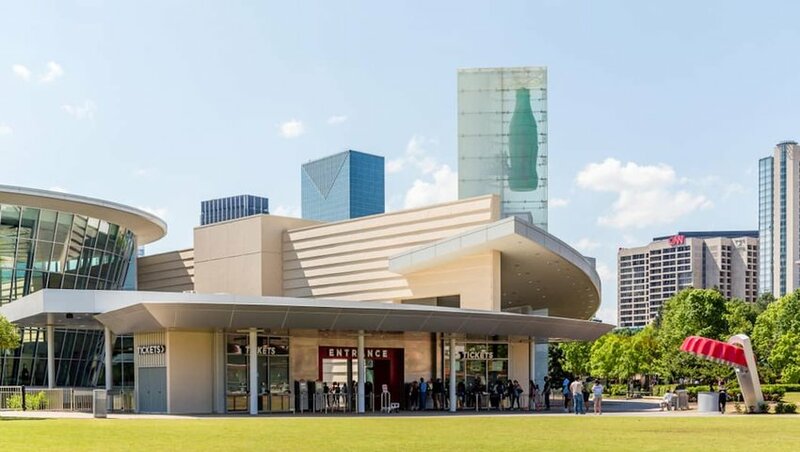 Whether you call it soda or pop, you’ll definitely want to visit Atlanta’s World of Coca-Cola. This interactive museum contains a pop culture gallery, a 4D theatre and a vault holding Coke’s secret formula. Regardless of which exhibits you visit, the colorful and exciting space is a fun way to spend an afternoon. Don’t miss: The tasting room allows you to taste over 100 samples of Coca-Cola from around the world. Just beware of the accompanying sugar rush. 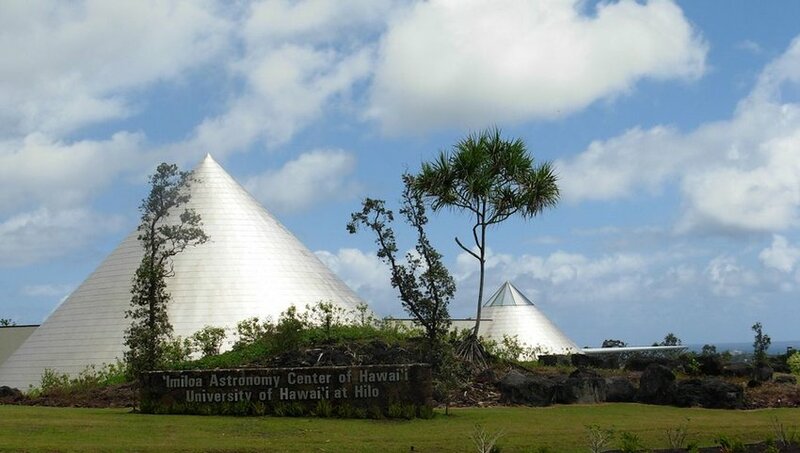 Between the research at the University of Hawaii and the amazing observatory complex atop Mauna Kea, Hawaii is world-renowned for its astronomy facilities. And if you can’t make it to Mauna Kea’s 13,000-foot summit for stargazing, ‘Imiloa Astronomy Center is the next best thing. From the history of Polynesian star navigation to astronomy’s current scientific developments, spending a day learning about the stars is the perfect break from your tropical vacation. Don’t miss: Catch a show at the planetarium to learn more about the solar system. Film titles include Skies Above Hawaii, Awesome Light: Chasing Celestial Mysteries and We are Aliens! Don't like getting your hands dirty? 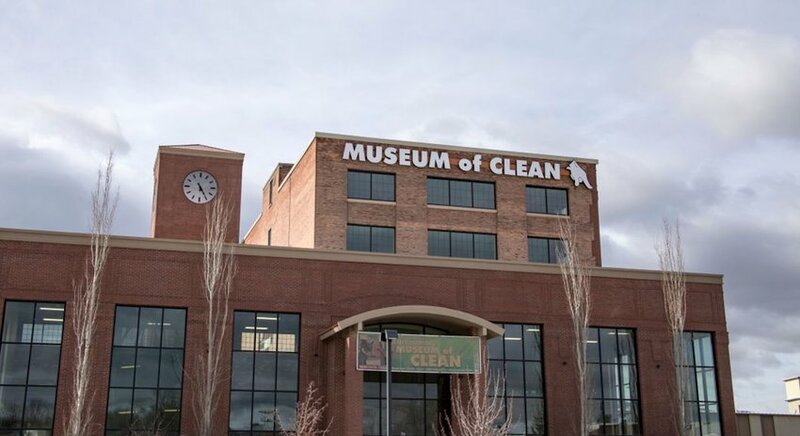 Then you'll love the Museum of Clean. Located in Pocatello, Idaho, this museum traces the interesting history of cleaning products and tools, from brooms to vacuums and beyond. Whether you're viewing the collection over 1,000 vacuums or learning about the history of the washing machine, you're guaranteed some good clean fun. Don’t miss: The museum's collection of toilets, from the Victorian era to modern porcelain marvels. Chicago’s Museum of Science and Industry is a must-see. 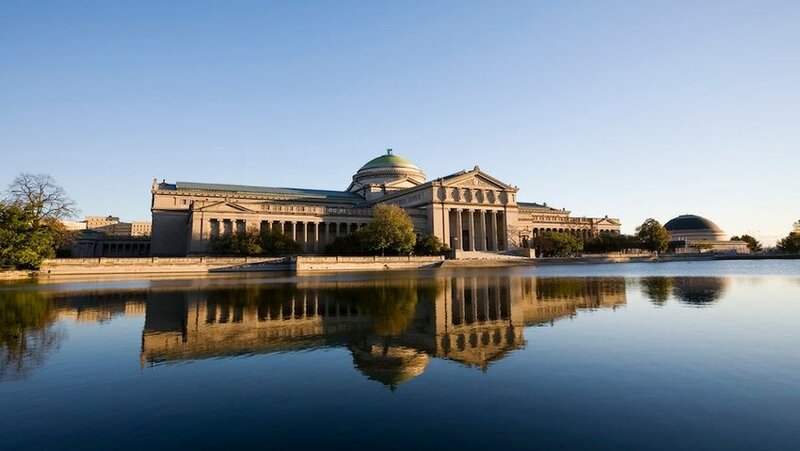 As the largest science museum in the U.S., MSI’s exhibits are vast and impressive. From a life-sized, interactive hamster wheel to a subterranean coal mine, the museum is sure to capture your attention. The only problem? With so many incredible exhibits, you may want to visit more than once. Don’t miss: MSI’s claim to fame is a German submarine from WWII, available to tour, and well worth the visit. 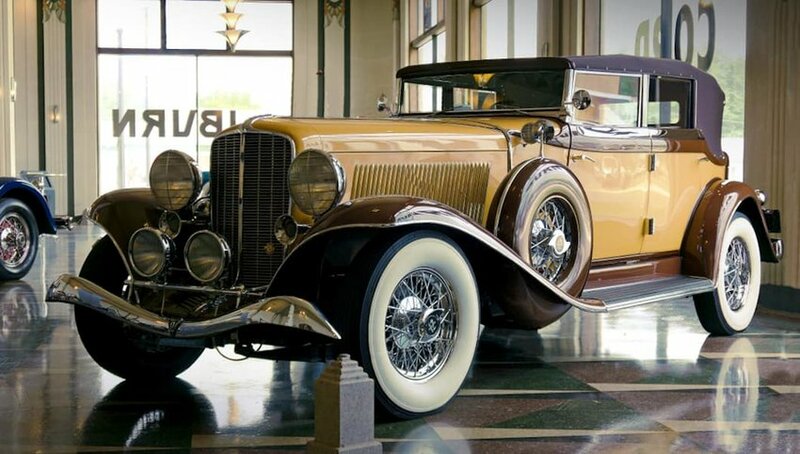 The Auburn Cord Duesenberg Museum in Auburn, Indiana is just the place for anyone who has an obsession with cars. The museum showcases 120 cars from all eras, from muscles cars to race cars and everything in between. The museum is located in the 1930s headquarters of the legendary Auburn Automobile Company, and you can visit the original offices and showrooms during your visit. Don’t miss: Stroll the Gallery of Racers and Record-Setters for a look at the evolution of Indianapolis racing cars. 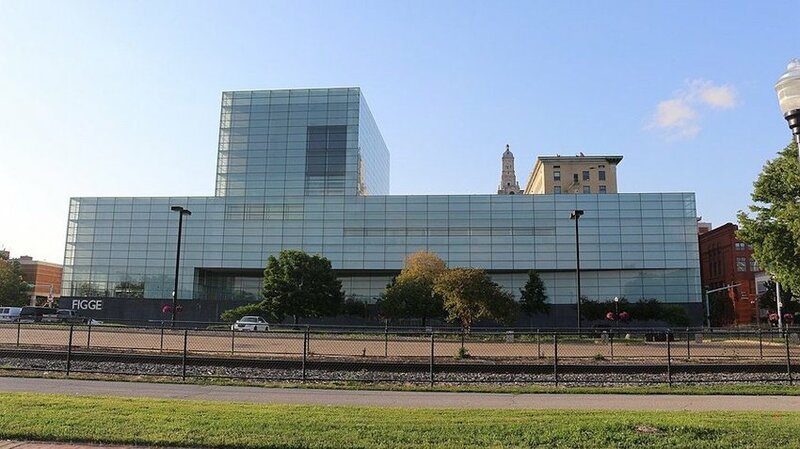 With impressive collections that span the globe, the Figge Art Museum is the crowning achievement of Iowa’s Quad Cities. In addition to collections that feature American, European and Mexican artists, the Haitian Collection displays an impressive amount of island art from the 1940s to the present. Don’t miss: The Figge also hosts special events, including artist talks, paint-and-sips and yoga classes. With over 30,000 artifacts spaced out over three floors, the Museum of World Treasures in Wichita is weirdly fascinating. From shrunken heads to dinosaur bones, war paraphernalia and giant geodes, this museum's collection is far from ordinary. You won't find any trash here — just treasure and getting lost in the collection makes for an interesting afternoon. 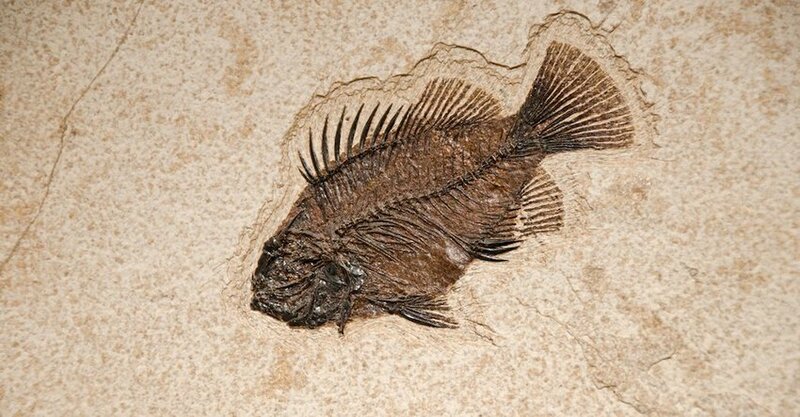 Don’t miss: Visit the Sea Creatures of the Plains exhibit to see a fossilized Xiphactinus fish, a giant and terrifying prehistoric sea creature. 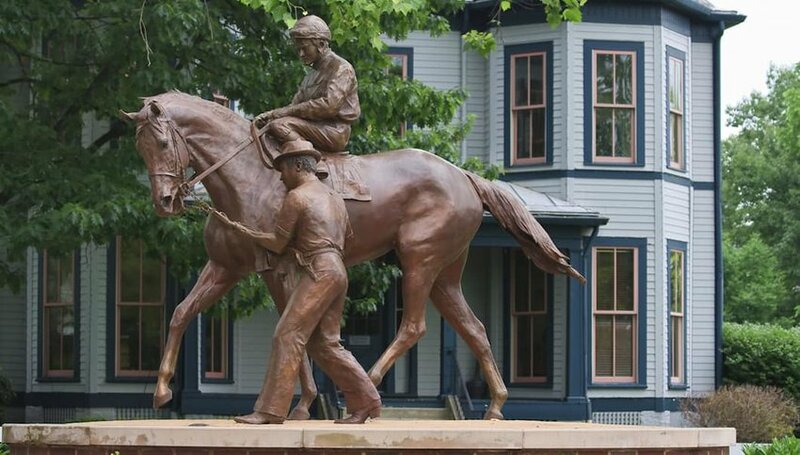 The American Saddlebred Museum pays homage to Kentucky’s only native horse breed, the Saddlebred. Located in the rolling hills of Lexington, the museum has the most comprehensive collection of Saddlebred artifacts in the world. Permanent collections include interactive exhibitions, such as a virtual riding area, giant rocking horses and informational puzzles. Don’t miss: Entrance to the museum also allows access to the Kentucky Horse Park, a horse farm, competition facility and equine theme park. The scope of this museum is simply breathtaking. 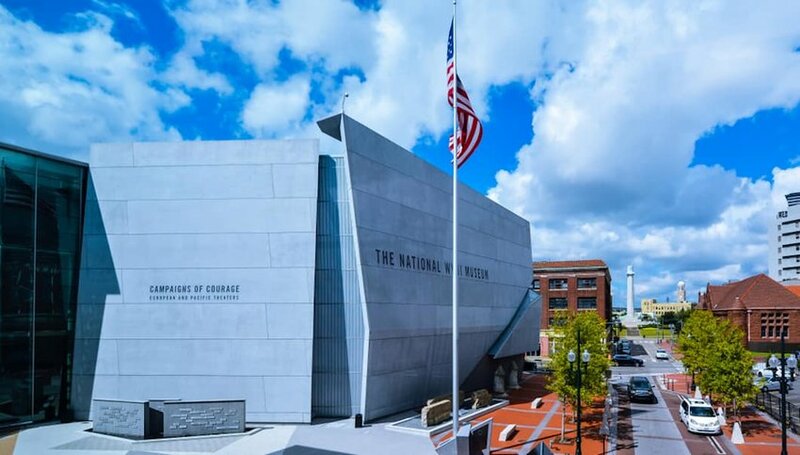 Located in New Orleans, the National WWII Museum features a massive collection of artifacts and interactive exhibits from the turbulent conflict. Wander through nearly 250,000 artifacts and listen to more than 9,000 personal accounts. You'll walk away with a deeper understanding of and appreciation for the war that changed the world. Don’t miss: You can't miss the B-17 Bomber suspended in air, but you can get even closer by walking the catwalks near the ceiling. The Maine Maritime Museum in Bath is the quintessential seaside museum. 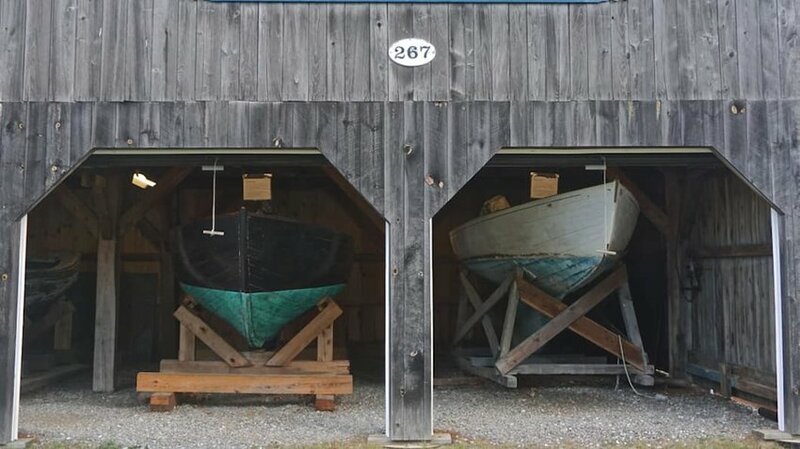 Visitors to the space can expect to learn about Maine’s lobster industry and how wooden sailing ships are built. Other permanent exhibits include a historic boat collection and a full-scale replica of the lantern in the famed Two Lights Lighthouse. Don’t miss: From May to October, visitors to the museum can take a boat cruise on the Kennebec River to explore coastal Maine at its best. 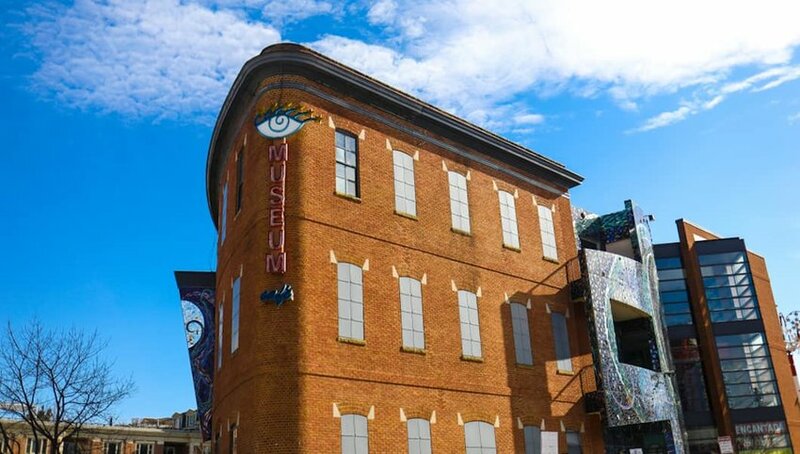 Fans of contemporary art will love Baltimore’s American Visionary Art Museum. 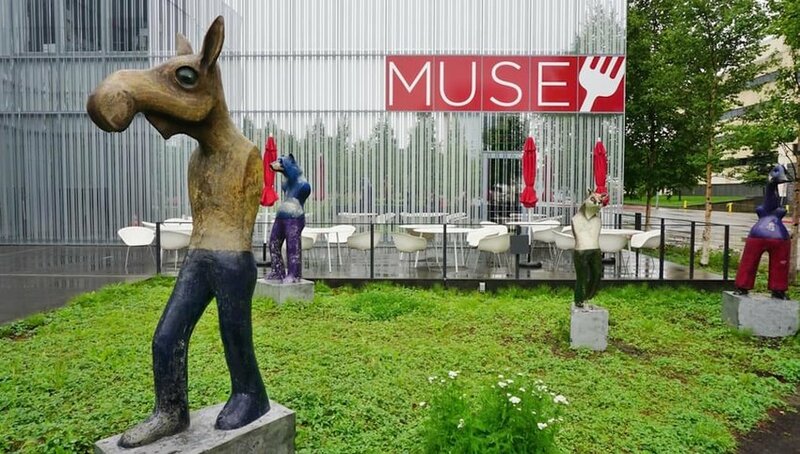 A museum dedicated entirely to self-taught artists, don’t expect to see traditional paintings and sculptures here. The unusual art pieces and installations are accompanied by the artist’s story, which adds a sense of depth and meaning to the work at hand. Don’t miss: At 55 feet high, the Giant Whirligig by Vollis Simpson is an amazing wind-powered sculpture outside the museum’s walls. 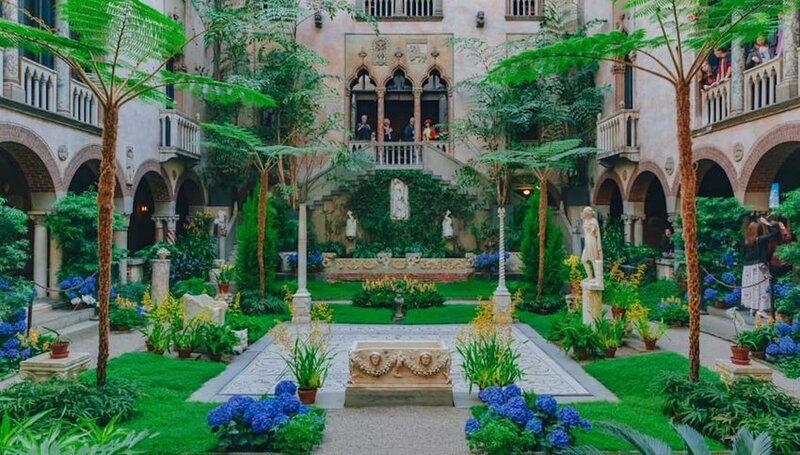 The Isabella Stewart Gardner Museum is aa beautiful oasis in the heart of Boston. The building, which is a stunning space in and of itself, was once home to the eccentric woman for which it is named, and displays the incredible art collection amassed throughout her lifetime. In addition to housing priceless collections of art, the museum is renowned for an intriguing, unsolved mystery. In 1990, several masterpieces were stolen from inside the museum, a theft which remains unsolved to this day. Don’t miss: The Venetian courtyard of the home is a breathtaking work of art in itself, and a wonderful place to stop and smell the roses, or in this case, the palm trees. Did you know Detroit has one of the top-rated art museums in the country? 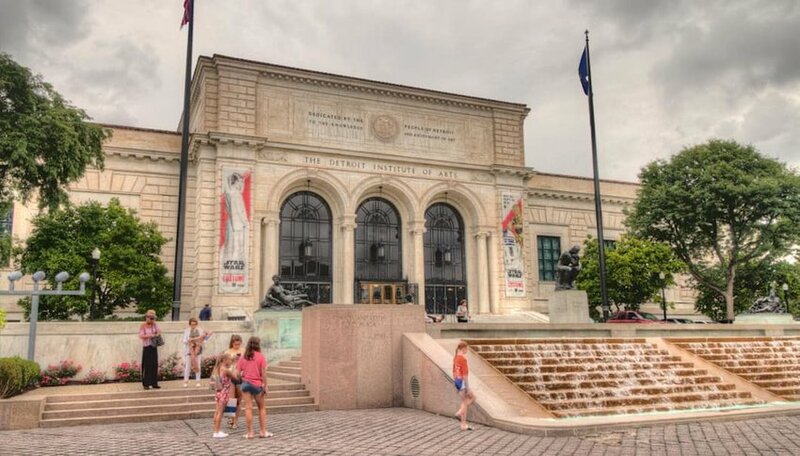 The Detroit Institute of Arts contains over 100 galleries displaying more than 65,000 works of art from ancient to modern times. The massive building hosts an auditorium that seats over 1,000 people, and an art reference library. Don’t miss: Want to get artsy yourself? Sign up for workshops and special Drawing in the Galleries classes to get hands on with your own creative masterpiece. One of the most visited contemporary art museums in the country, the Walker Art Center is a leading exhibition of modern art. The Minneapolis museum is famed for its architectural design and collection of fascinating modern art exhibits. Arguably the best part of the museum, however, is outside the structure in the Minneapolis sculpture garden. 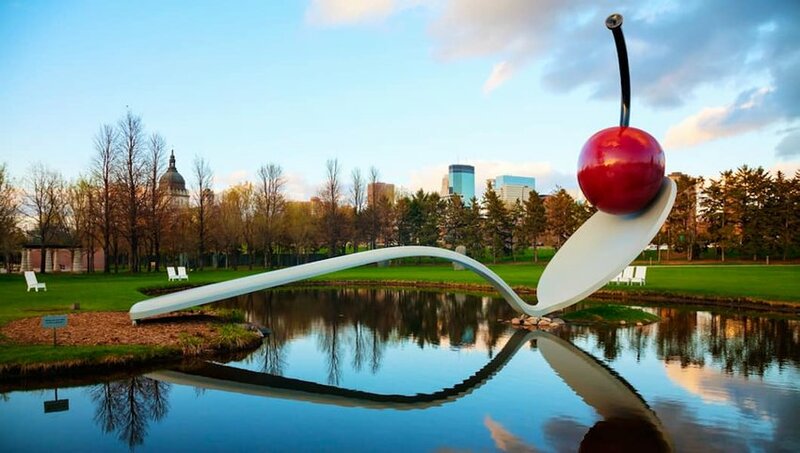 Don’t miss: The iconic “Spoonbridge and Cherry” sculpture reflecting in the water of the sculpture garden. 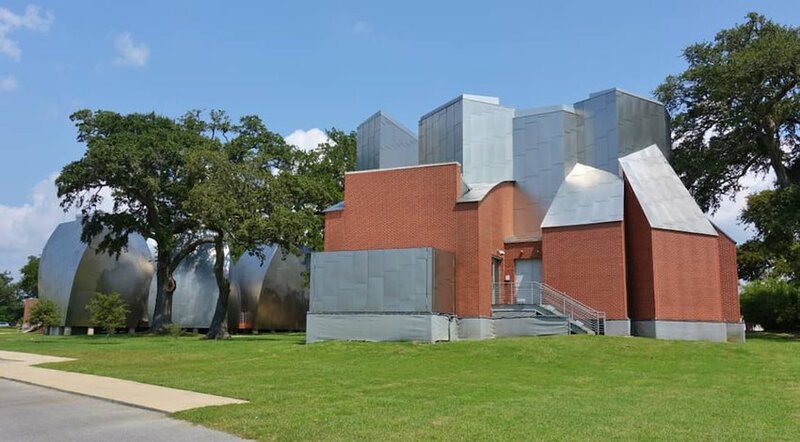 Another impressive building designed by architect Frank Gehry, Biloxi's Ohr-O’Keefe Museum of Art is a unique exhibition in Mississippi. Much of the museum is dedicated to the work of sculptor George E. Ohr, also known as the Mad Potter, whose pottery mirrors the same mind-bending shapes as the building itself. In addition to permanent and rotating collections inside the museum, the grounds also contain a local art gallery and a ceramic studio. Don’t miss: The Pleasant Reed House is a tribute to the Civil Rights movement in Mississippi, exposing stories of segregation and discrimination in the Deep South. This quirky attraction in downtown St. Louis defies definition. 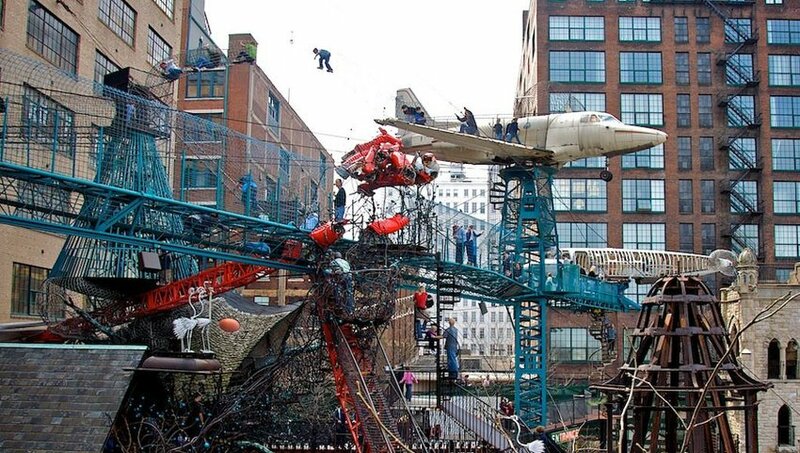 The City Museum is more like a playground of steel and recycled art and sculptures offering a completely hands-on experience. Housed in a former warehouse for the International Shoe Company, the museum was assembled from collected items like firetrucks and church pipe organs to create an architectural marvel for children and adults to love. Don’t miss: Anything! From a 3-story treehouse to a 10-story slide, a reconstructed castle and a room of mosaics, you won't want to miss a thing. A Smithsonian affiliate, the Museum of the Rockies in Bozeman is impressive, and not just by small-town standards. From its Tyrannosaurus Rex skeleton, affectionately named “Big Mike,” to its exhibitions on the geysers, land formations and history of Yellowstone, this is the definitive museum of the Montana landscape. Don’t miss: The Siebel Dinosaur Complex houses the most T. Rex fossils in the world and is the museum’s biggest draw. Located inside Omaha’s historic Union Station, the Durham Museum combines science, industry and culture to showcase the regional history of Nebraska. From its restored train cars to its 1940s storefronts, the Durham gives visitors a glimpse into Nebraska’s storied past. 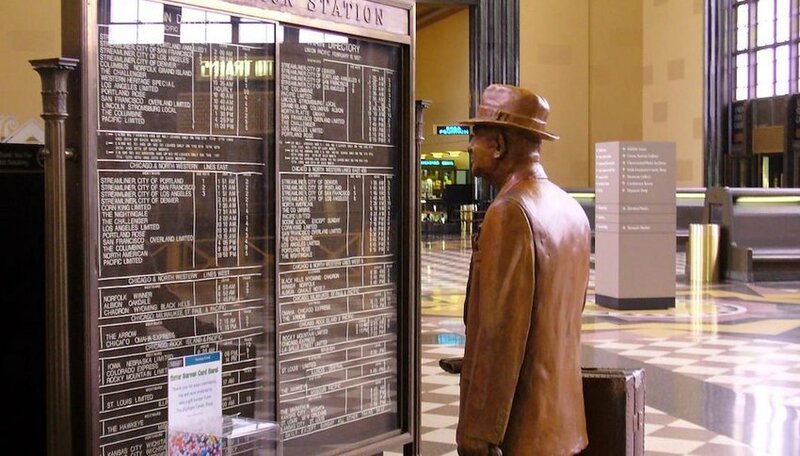 Don’t miss: Witnessing the stunning art-deco design of Union Station is worth the trip alone — don’t forget to grab a malt at the train station’s authentic soda fountain. Las Vegas’ Mob Museum offers a fascinating view into the world of organized crime. With four floors to explore, this unusual museum leaves no stone unturned. With exhibits on the mafia’s most famous faces to its deadliest massacres, from the workings of a crime lab to the lingering effects of the Prohibition Era, The Mob Museum paints an authentic picture of crime in the U.S.
Don’t miss: The basement floor has a speakeasy and a distillery for thirsty visitors. Learn how moonshine is made and try some for yourself. A 10-acre indoor/outdoor living history museum, Strawbery Banke is perfect for kids and adults alike. 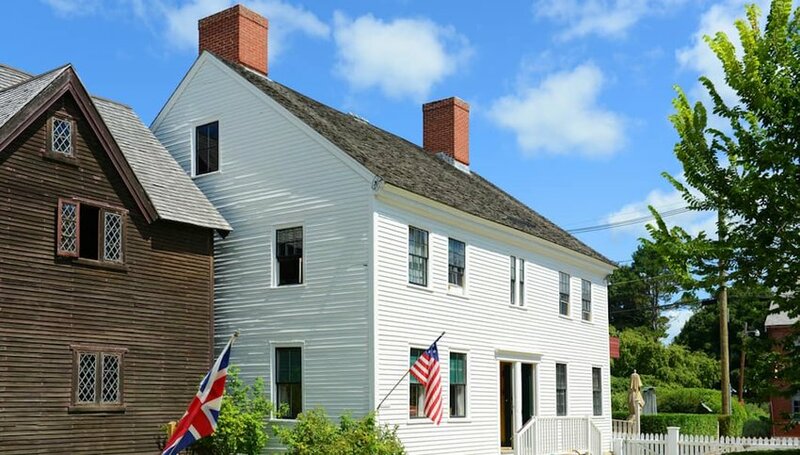 Located within Portsmouth city limits, the museum’s 37 historic buildings give visitors an accurate depiction of the neighborhood’s evolution from 1695 - 1954. Plus, the costumed role-players are a wealth of information and add a dose of personal charm to the experience. Don’t miss: From the colonial kitchen garden to the 1940s Victory garden, the historic gardens demonstrate the progression of home-grown agriculture over hundreds of years. 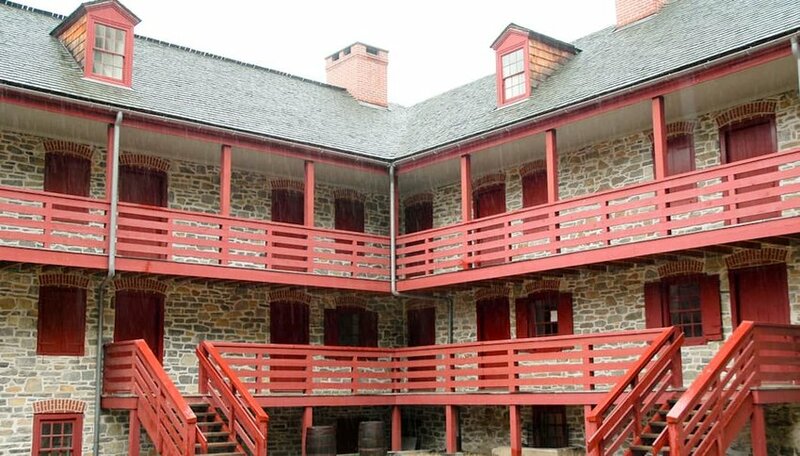 Take a step back in time at the Old Barracks Museum outside of Trenton. A showcase of Revolutionary-era history, the museum is comprised of restored military barracks built in 1758, during the French and Indian War. Exhibits now focus on providing a glimpse of colonial life and information on the conflicts that shaped the creation of the historic structure. Don't miss: A performance by the Fifes and Drums of The Old Barracks, a group of musicians who perform late 18th-century music dressed in military garb. 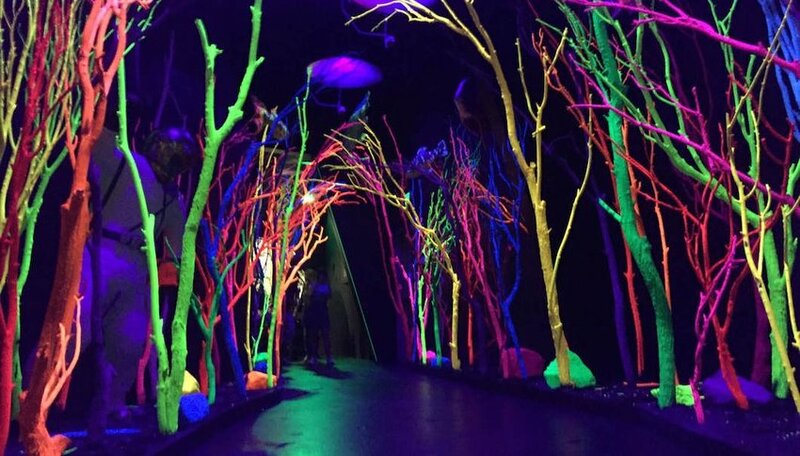 Part museum, part art gallery and hallucination, Meow Wolf is a one-of-a-kind experience. Categorized as an “art collective,” Meow Wolf was created by a group of Santa Fe artists who wanted to carve their own place in the city’s competitive art scene. The end result is an immersive experience that takes visitors to fantastical realms through art installations, video and sound. Don’t miss: The central part of the space is a reconstructed house filled with interactive elements that lead to other dimensions. Make sure to crawl through the fireplace, walk through the refrigerator and slide down the washing machine. 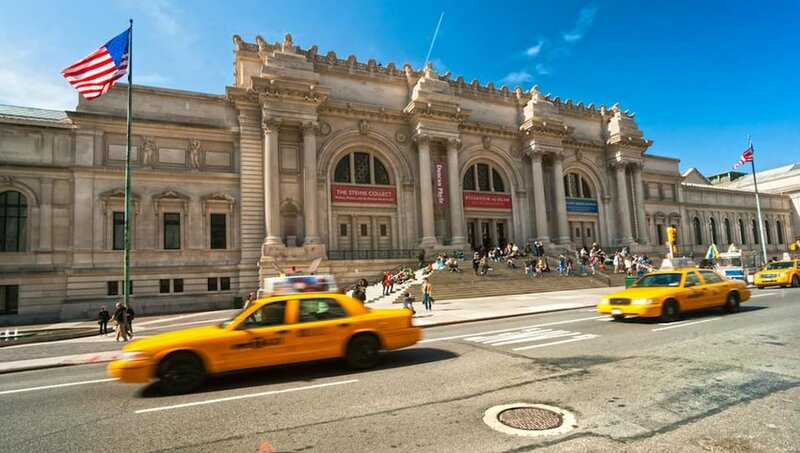 Of all the first-rate museums in Manhattan, The Met is on the top of the list. If you have the opportunity to spend a couple of days wandering the labyrinth of art exhibits, you should. From masterpieces by European painters to contemporary works of art, the museum’s range of talent and breadth of work is astonishing. Don’t miss: The Egyptian Art wing on the first floor contains sculptures, burial crypts and a mini-pyramid. 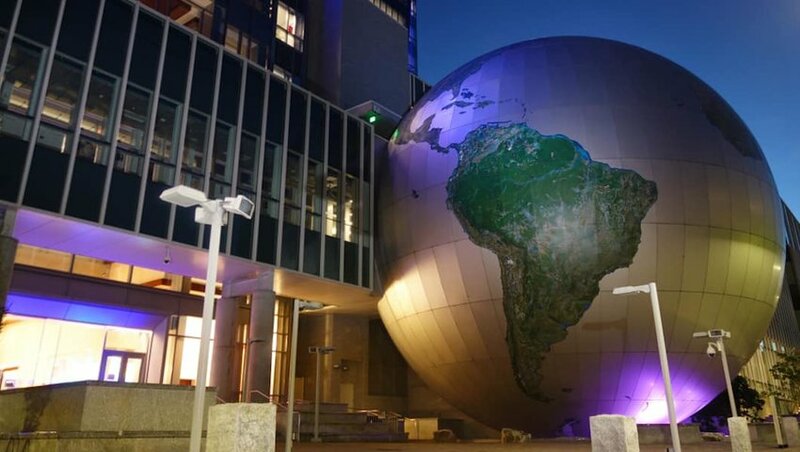 One of North Carolina's top attractions, the Natural Sciences Museum in Raleigh definitely lives up to the hype. The largest of its kind in the Southeastern U.S., this museum is a center of research and exploration. Its seven floors of interactive exhibit spaces span two city blocks and feature everything from dinosaurs to meteorites and beyond. Don’t miss: The Nature Research Center, which dives into North Carolina's unique ecosystem and natural history. 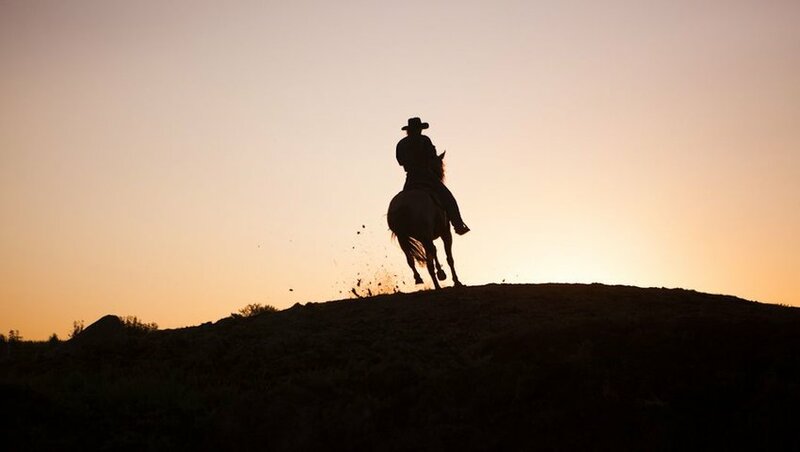 Combining the history of rodeos, ranching and Native American culture, the Cowboy Hall of Fame strives to educate visitors about these intersecting communities. 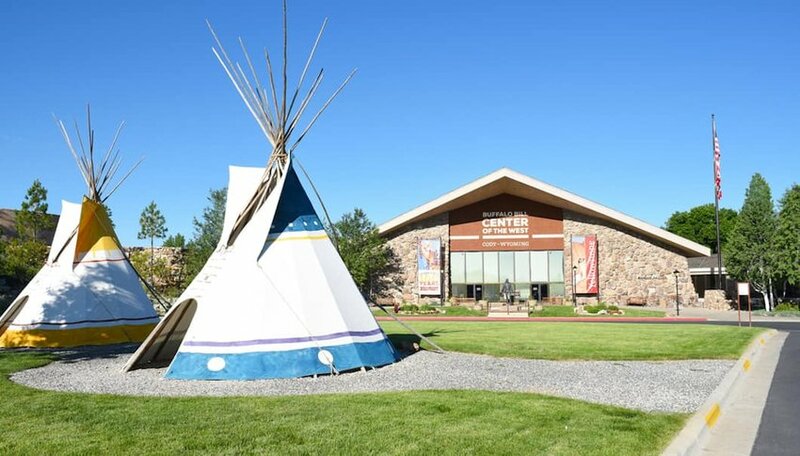 By highlighting the stories of the people of North Dakota —from rodeo heroes to famous cowboys, Teddy Roosevelt to Native tribes — the Cowboy Hall of Fame paints a captivating picture of the Wild West. Don’t miss: Take the time to watch the museum’s movie before entering the galleries — it provides context and brings more meaning to the museum’s displays and artifacts. 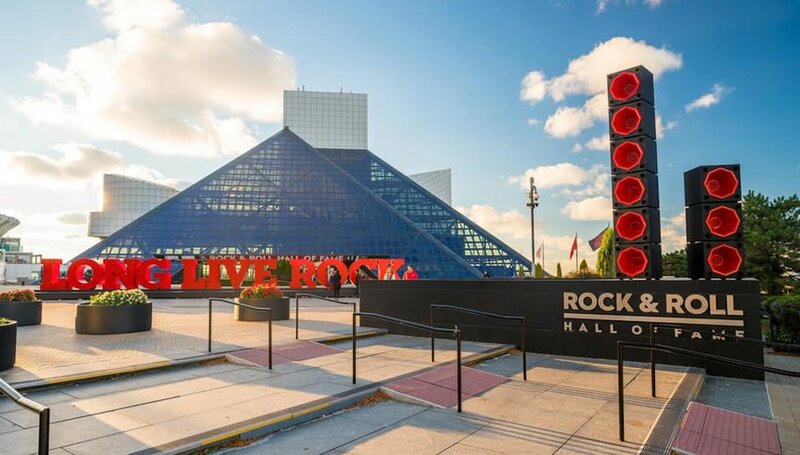 A must-see for any music lover, Cleveland’s Rock & Roll Hall of Fame covers every aspect of the world’s most popular genre of music. From exhibits showcasing rock legends, including The Beatles, Elvis, David Bowie, and the Supremes, to its gallery of musicians inducted into their Hall of Fame, the hallways echo with the world’s most celebrated talent. Don’t miss: The museum has artifacts and costumes galore, from John Lennon’s passport to a sparkly gold and black jacket worn by Michael Jackson. 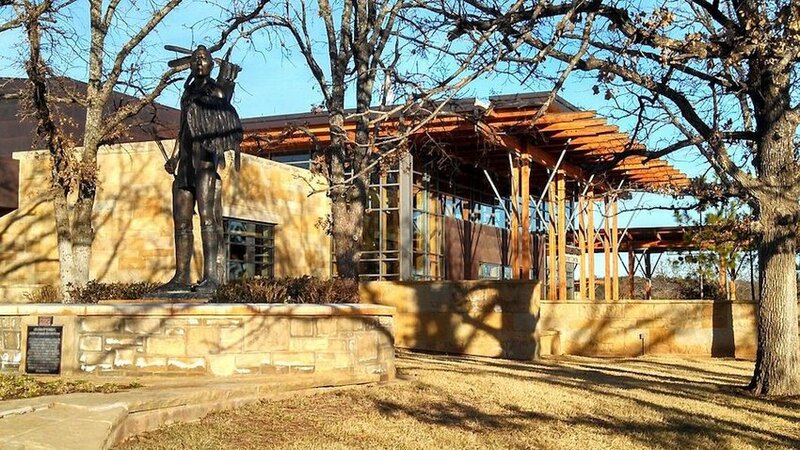 The Chickasaw Cultural Center is an enormous state-of-the-art facility located on 109 acres in Sulphur, Oklahoma. From the flowing water running through the main building to the recurring spiral found throughout the campus, the museum effortlessly blends modern architecture with important Chickasaw symbols. The Spirit Forest portrays the tribe’s connection to the land and animals of the plains, while the Exhibit Gallery is a hands-on experience with tribal artifacts. Don’t miss: The Stomp Dance gallery features holographic dancers around a burning fire — an important ritual that connects humans to the heartbeat of the earth. Live demonstrations of this dance also occur daily at the center. Portland prides itself on its unique and artistic culture, so is it any wonder that its biggest museum is a must-see? 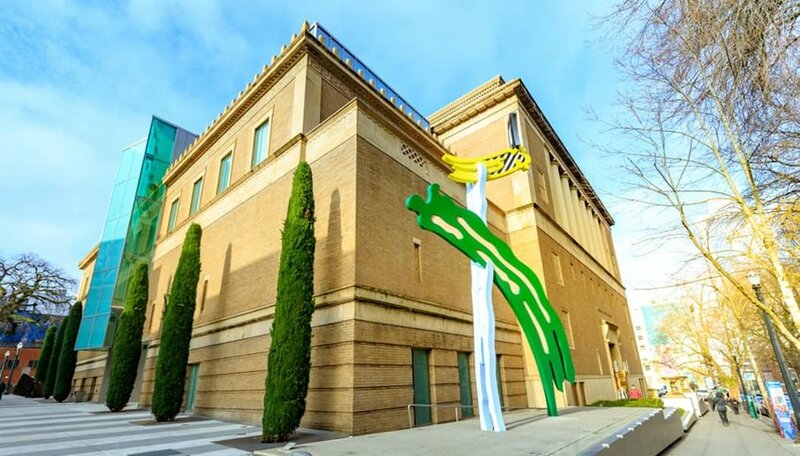 With diverse rotating and permanent exhibits, the Portland Art Museum showcases just about everything, from Native American to contemporary art. Oh, and it just so happens to be the oldest art museum on the West Coast. Don’t miss: You can't go wrong with any of the museum's traveling exhibits, so check out their website before you go to see what's on display. 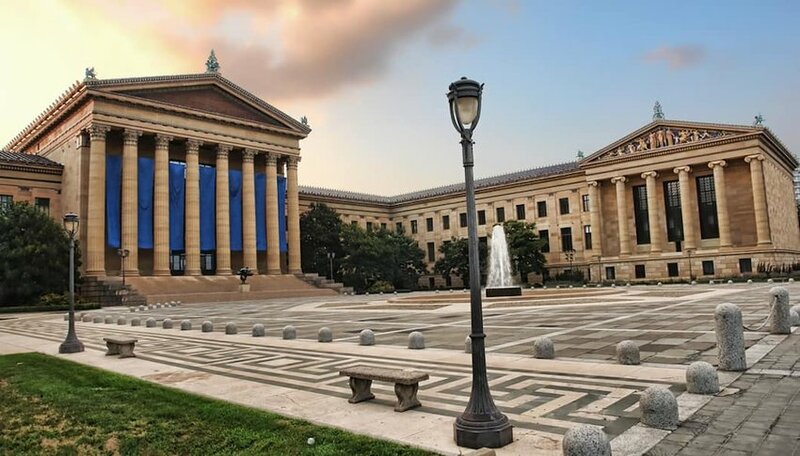 The iconic steps climbed by Rocky also lead to Philadelphia’s premier museum — The Philadelphia Museum of Art. An expertly-curated space, the museum is home to European and American art and features the likes of Monet, Cézanne, Picasso and Wyeth. Plus, the outdoor sculpture garden is perfect to explore when the weather is just right. Don’t miss: Only recently opened and available until 2021, New Chinese Galleries is an impressive collection showcasing the evolution of Chinese art over the course of a thousand years. The Rhode Island School of Design (RISD) is ranked as one of the finest art schools in the country and its museum upholds this high standard. The museum’s galleries feature pieces from ancient Greece, Rome and Egypt, as well as period rooms from the 18th and 19th centuries. Its modern and contemporary art spans the 20th century with work from Marsden Hartley and sculptures from John McCracken and David Hammons. Don’t miss: Entrance to the museum is completely free of charge on Sundays, so if you don’t mind the crowds, it’s the best day to go. The gem of Charleston's Museum Mile, the Charleston Museum asserts itself as the "oldest museum in the United States." Founded in 1773, it makes a good case for this title. The museum features hundreds of artifacts from Charleston's colonial past, and examines the city's role in the Revolutionary and Civil wars. Don’t miss: The museum also owns two historic homes that you can tour. 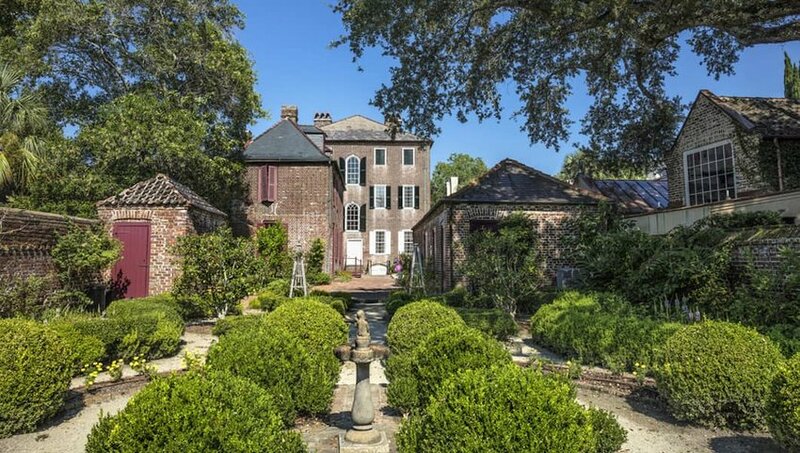 The Heyward-Washington House displays a collection of local antique furniture, and the Joseph Manigault House offers a look at the lives of a wealthy Charleston family. The prehistoric treasure found within the Mammoth Site and Museum was discovered completely by accident. In 1974, while leveling grounds for a housing development, an equipment operator stumbled upon a 7-foot long tusk. Construction stopped, excavation began and the museum was born a year later. 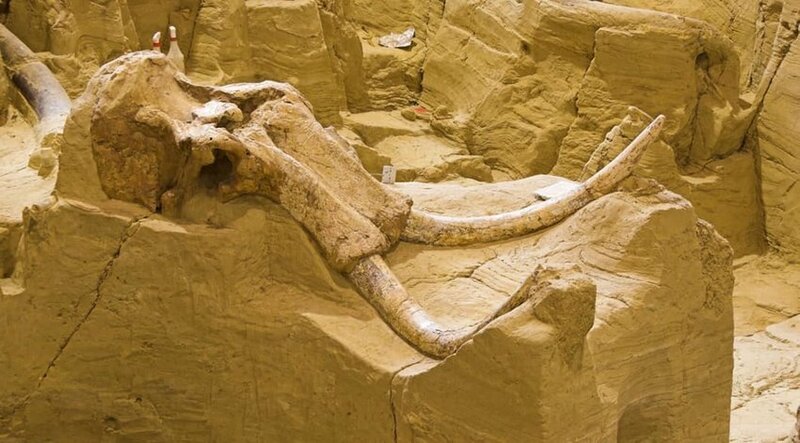 Thus far, paleontologists have uncovered 58 Columbian and 3 wooly mammoths from the site. Don’t miss: Visitors to the mammoth site can watch real-life excavation in action — the museum estimates there are still 1,200 fragments and bones remaining in the sinkhole. Memphis featured prominently in the fight for Civil Rights, and its National Civil Rights Museum offer one of the most poignant reflections on this dark part of American history. 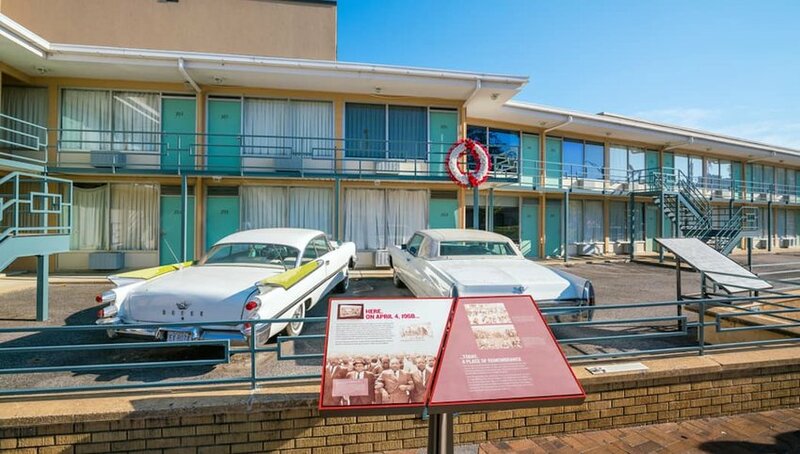 Housed in the Lorraine Motel in downtown Memphis, where Martin Luther King Jr. was fatally shot, the museum contains exhibits on Jim Crow laws, resistance strikes and marches, and personal accounts. Don’t miss: Tour a vintage bus and listen to the altercation between a public transit worker and Rosa Parks. The Bullock Texas State Museum in Austin is dedicated to the story of Texas, from the early arrival of European settlers to its subsequent development into the “Lone Star State.” From a preserved shipwreck found off the Texas coast — a failed attempt at colonization by the French — to an interactive view of Texas from the sky, the exhibitions provide a compelling look into the past and present of this unique state. 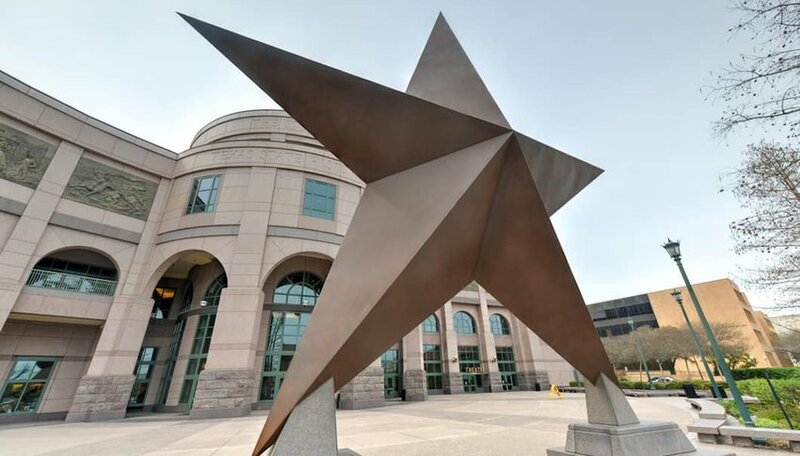 Don’t miss: It may cost an extra $6, but the Bullock IMAX theatre brings Texas history to life. 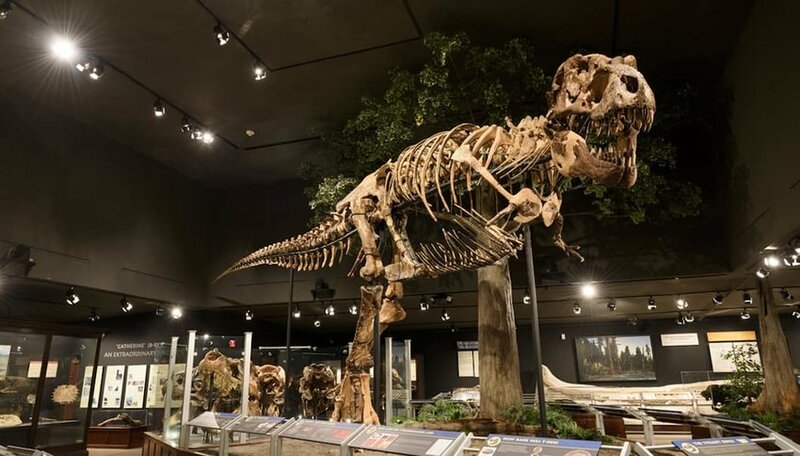 Devoted to Utah’s natural landscape and paleontological discoveries, the Natural History Museum of Utah is packed with exhibits, activities and artifacts. With exhibitions on astronomy, the prehistoric people of Utah, the Great Salt Lake, local gems and minerals and the lost world of dinosaurs, this museum is sure to impress people of all ages and interests. Don’t miss: In an exhibition called Utah Futures, the museum offers up an interactive game that explores the effects of climate change, while also promoting a sustainable future for Utah. The only child of Abraham and Mary Todd Lincoln to live into adulthood, Robert Lincoln eventually settled in Manchester, Vermont. His grand estate, named Hildene, is a Georgia revival mansion sitting upon 412 acres. Visitors may wander through the beautiful home, formal gardens and observatory to see how the Lincoln family lived. Don’t miss: The estate provides a 12-mile network of trails, available for walking in the warmer months and cross-country skiing in the winter. This living history museum is set in America’s first permanent English colony. The Jamestown Settlement is reenactment at its finest, featuring restored buildings, ships and traditions from the early days of America. From gallery exhibits to storytelling, and live displays of traditional life from historical interpreters, this museum proves that history can be a ton of fun. 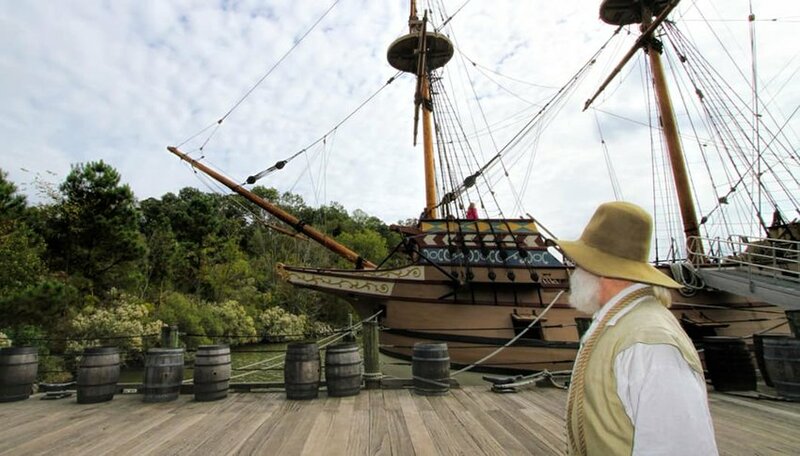 Don’t miss: Visit three recreations of the ships that brought colonists to the New World. Visitors can tour the Susan Constant. 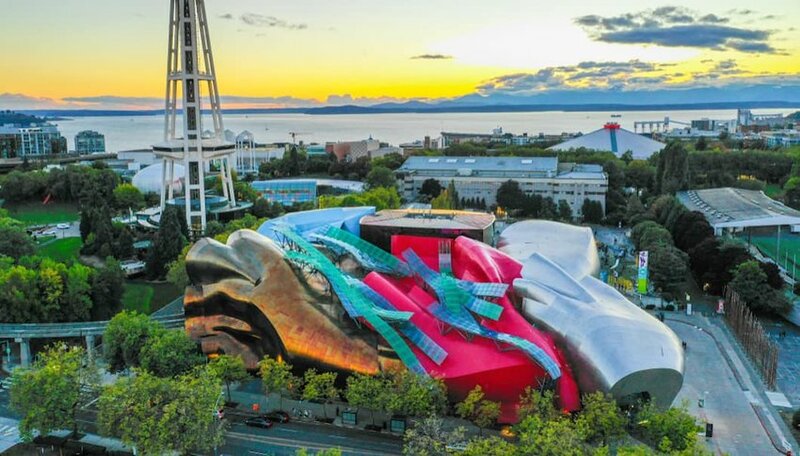 Nicknamed MoPop, Seattle’s Museum of Pop Culture is home to all things mainstream — music, television, film and literature. From exhibitions dedicated to Pearl Jam and Nirvana to exploring the world of horror films and science fiction, you're sure to find something that sparks your interest at MoPop. Don’t miss: The Sound Lab is a hands-on experience, allowing visitors to experiment with turntables, drums and audio technology. Soundproof rooms are also available for jamming, singing and mixing sounds. Covering a campus of 50 acres, the Huntington Museum of Art is the largest of its kind in West Virginia, with an impressive permanent collection that spans 16,000 objects. But the museum doesn't stop at art. With the only tropical plant conservatory in West Virginia, a coral reef aquarium and two outdoor sculpture courts, there's so much more to see. Don't miss: Two miles of hiking trails allow you to wander through the surrounding landscape and breathe the fresh air. Taliesin is the home and 800-acre estate of acclaimed architect Frank Lloyd Wright. Located in Spring Green, Wisconsin, Taliesin is a remarkable 37,000 square foot home and one of the crowning achievements of Wright’s life and career. It is also shrouded in tragedy. Much of the original building was burned to the ground by a deranged house worker, who also killed Wright’s mistress and her children. The resurrected Taliesin has been named a National Historic Landmark and serves as a true example of Wright’s genius and talent. Don’t miss: To see all that Taliesin has to offer, book the Estate Tour ahead of time. The four-hour tour covers the home, gardens, theatre and grounds. Boasting five museums for the price of one, Cody’s Buffalo Bill Center is sure to satisfy your thirst for the Old West. From learning about Western legends like Buffalo Bill and Annie Oakley in the Buffalo Bill Museum to the extraordinary pieces of art in the Whitney Western Art Museum, the museum's depth and attention to detail demonstrate the true essence of Yellowstone country. Don’t miss: The Draper Museum Raptor Experience is a live educational program featuring birds of prey.